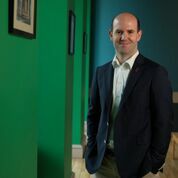 This is a guest blog by Eben Upton, CEO of Raspberry Pi, Ltd. When we established the Raspberry Pi Foundation, our objective was to encourage people to go beyond being competent computer users, to become capable software developers and electrical engineers. We wanted to make it fun and affordable for anyone at any age to learn computer programming, to solve problems, and to prepare for digital careers. The Raspberry Pi eliminates the cost of computer hardware as a barrier to discovery and experimentation. Basing the hardware on ARM technology provided the best foundation for delivering a low-cost, high-performance computer that could leverage the innovation and dedication of the open source community. Selling the Raspberry Pi allows the Raspberry Pi Foundation to provide educational programs and free resources to help people learn, and to support educators who teach computer programming. 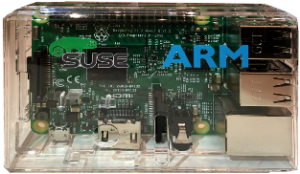 When SUSE approached me almost two years ago with the idea of giving away Raspberry Pi devices at SUSECON to introduce their new SUSE Linux Enterprise Server for ARM distribution, I was surprised, and excited. The devices were very well received; one attendee was inspired to use Raspberry Pi devices to solve a network monitoring problem he was having (SUSE has a case study here if you want to learn more). The Raspberry Pi offers high performance and reliability at a low cost; it is portable, and uses very little power, making it a perfect device for industrial monitoring and control. To be used in an enterprise IT environment, it is helpful to have an operating environment that meets enterprise requirements for security and support. Many enterprise customers prefer to use enterprise Linux distributions because they require a supported, secure operating system that they already know how to manage. SUSE fulfills this need with SUSE Linux Enterprise Server for ARM support for the Raspberry Pi. And unlike two years ago when they just provided a downloadable image with community support, SUSE can now offer 12 x 5 or 24 x 7 support. This is all built on the same SUSE Linux that is available on everything from Raspberry Pi to the mainframe. We welcome industrial use of the device, as it helps further our goals of reaching more people with the tools, content and educational programs they need to prepare for the jobs of the future. We will continue to work closely with SUSE in their efforts to expand the enterprise applications of Raspberry Pi. To learn more about the Raspberry Pi Foundation, please visit www.raspberrypi.org or follow our Twitter account @Raspberry_Pi.